Know you’re looking for an AdSense site? You can now use our Advanced Search to only show auctions which offer Verified AdSense. Remember you can save this search for us to email you when new AdSense verified websites are listed. Here’s a quick video on using our Advanced Search function. While auctions that started less than 4 days ago typically won’t have Verified AdSense, all new listings that claim AdSense revenue should be able to provide Verified data. When evaluating AdSense revenue, keep in mind that the three-month average we provide includes months with no AdSense revenue. This means that if a site made $100 in April, but $0 in March and February, the 3-month average will be displayed as $33. Just like Verified Google Analytics, the AdSense data we use comes directly from the Google API. When claiming AdSense revenue, sellers can log into their Google account and authorise Flippa to collect this data. This means that the data hasn’t been tampered with by an unscrupulous seller. Adding AdSense revenue is as easy as verifying Google Analytics data. During the listing creation process, click on “Verify AdSense revenue”. 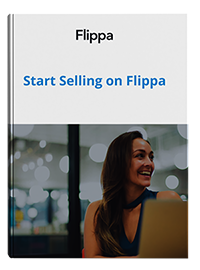 Once you’re logged in, and have granted permission for Flippa to gather this information, your Flippa listing will automatically include your AdSense revenue and use it to populate your total revenue claims. You’ll still need to complete the net profit section of your listing before it can go live. If your site makes revenue from other sources than AdSense, be sure to include that in the total revenue for each month. We’ll display the AdSense amount if your revenue claims are below what your AdSense records indicate. Note there is no need to include AdSense screenshots if you’re already verifying these claims.